SHEBOYGAN COUNTY (WITI) -- Charges have been filed against a man accused of accidentally drugging his three-year-old son. The child ate a piece of candy during a birthday party, and as it turned out, it was a marijuana candy, containing THC. The child had to be taken to Children's Hospital. Police say the child's parents initially lied about what happened, eventually admitting the child had ingested edible marijuana candy from Colorado after it was left within his reach. Sheboygan police on Sunday, February 28th responded to a hospital in Sheboygan. The three-year-old child was breathing, but "minimally responsive." The child's parents said they didn't know what was wrong with the child, police say. Tests revealed the presence of THC in the child's system. The child was transferred from a hospital in Sheboygan, to Children's Hospital in Milwaukee. An investigation revealed the family had a birthday party on Saturday, February 27th for another child, and during the party, a 28-year-old man (the three-year-old child's father) and some other guests were using marijuana. The man had obtained edible candies from Colorado that contained THC, and they were left on a table -- within reach of the children. Police say at first, the mother lied, eventually admitting that the boy's father had asked her if she had eaten his hard candies. The marijuana candies were swallowed by the child. Police say knowing the child ate the marijuana candy, the parents waited a day before they took the child to the ER. 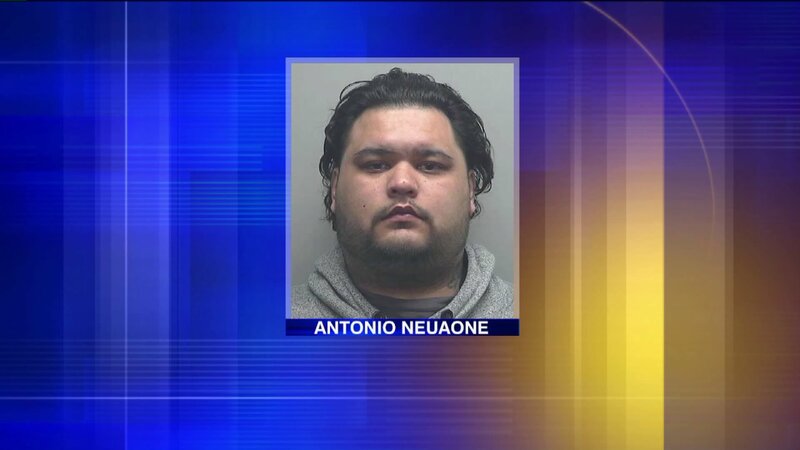 Antonio Neuaone is now facing two criminal charges: Neglecting a child (consequence is bodily harm) and resisting or obstructing an officer. FOX6 News stopped by the house where this happened on Wednesday, March 2nd. A woman there said she doesn't speak English. Neighbors were shocked to learn what happened, and thankful the child didn't die. "I don't want that around my house or my child. So disappointing," one neighbor said. "That's not something you leave laying around," one neighbor said. Police say Neuaone said he got the drugs from a friend, who had been to Colorado.